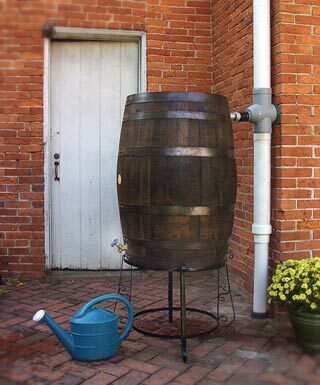 A charming and practical way to harvest rainwater for your garden. 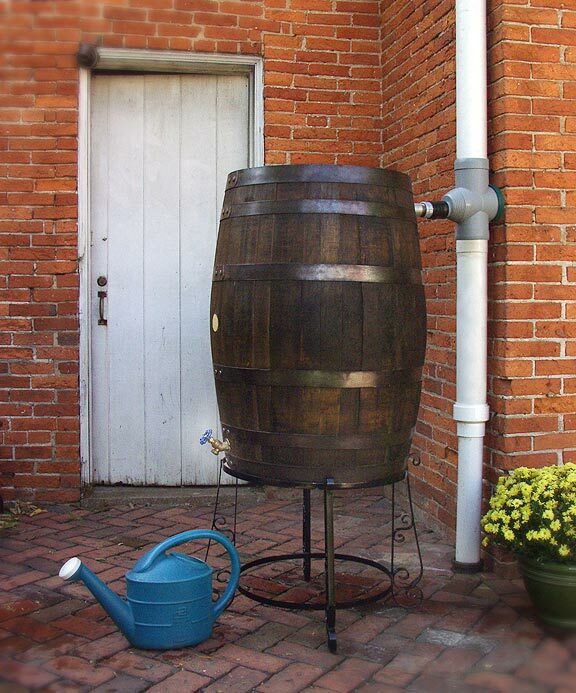 An authentic, mosquito-proof, recycled, 55-gallon white oak whiskey barrel with a protective hand rubbed finish. Includes the RainKeeper Downspout Collection Filter, brass tap, and metal stand (customized stands also available). Can be shipped anywhere within Continental USA. Email us for pricing options. 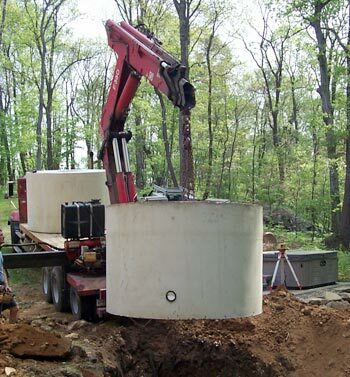 Precast concrete tanks offer a cost effective means of storage depending on proximity to manufacturers locations. 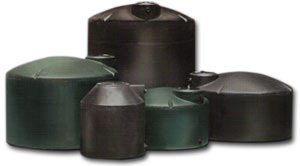 Round tanks typically range in size from 500-3,000 gallons with larger volumes being available with modular structures. Concrete is strong and can be directly buried but it is also heavy and may limit use where access for lifting equipment is prohibitive. PE tanks are lightweight and versatile. Available in both above ground and below ground models although most underground models are limited to 2,000 gallons of storage while above ground can hold up to 10,000 gallons.Tanks can be ganged together to increase storage capacity. 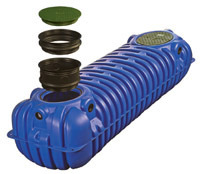 Manufactured using resins that meet FDA specifications to ensure safe storage of potable water. Most tanks can be handled and set by a couple strong bodies providing greater flexibility in placement compared to concrete.